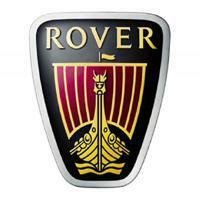 Rover was a British automobile manufacturer with headquarters in Birmingham. However, in 2005 production ceased when the company declared bankruptcy. In July 2005 the Group Nanjing Automobile Corporation purchased the company and continued production in China. This list is a collection of all the models manufactured by this brand since its debut, without taking into consideration the variations within each model. This ranking contains models of yesterday and today. Go on and vote for the best creations by this automaker throughout its history.